Happy Sunday, y'all! I hope your day is full of rest and refreshment. This three day weekend is off to a great start already! I can't wait to see what you're up to this afternoon. 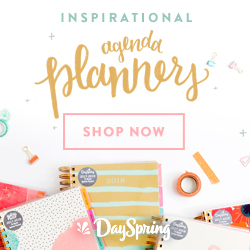 Sunday, September 4: What are you up to currently? I have examples here and here. Playing... catch up on sleep, grading, and lesson planning. Watching... Downton Abbey. I watched the entire series last year, and now I'm working my way back through. I'm on season four! Trying... to curb my spending. I picked up so many pretty things at Home Goods today but I put them all back on the shelf. Be proud. Cooking... taco meat for the week. Drinking... Diet Coke. This girl needed some caffeine for the long drive home. Calling... my grandmother today was such a good decision. I miss being close enough to pop by for dinner. Texting... with friends from all over! I love getting to connect that way. Pinning... fall/home decor ideas. Particularly night stand and headboard ideas. Tweeting... a gif per day through my first year of teaching. Find the start HERE! Going... to church bright and early then spending the day working in my classroom. 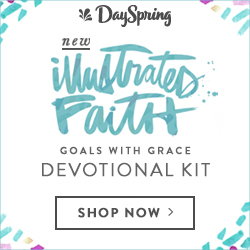 Loving... all the new Illustrated Faith products. They're GORGEOUS! Thinking... about my ever-growing to-do list. It's time to be productive. Feeling... so sure that I'm in the right place. It's tough but it's good. Hoping (to)... get a lot done today so I can relax on my Monday off tomorrow! Listening (to)... "Do You Love Me" by The Contours on Sinatra Pandora. Celebrating... two successful weeks of school! Smelling... my new miniature Lavender Vanilla candle from Bath & Body Works. Ordering... yet another phone charger. I lose these all the time and need one for my classroom. Thanking... April for picking up the basket I wanted at Target and for a lovely lunch date yesterday! Starting... to fall asleep. It's been a FULL FULL FULL day/week. Finishing... this week's Blog-tember prep. I'm so excited for what's coming up!